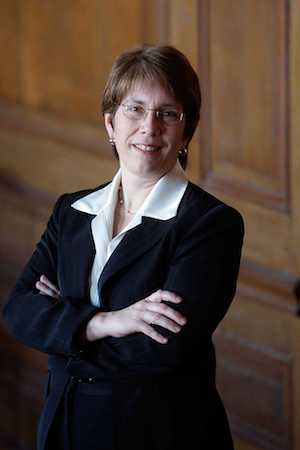 I will enthusiastically cast my vote for Cindy Friedman for state Senate on June 27. I have known Cindy for more than 15 years and worked with her on many different efforts to benefit the town of Arlington. Cindy and I sat together at Town Meeting for many years, we worked together to pass the debt-exclusion overrides that rebuilt our seven elementary schools and, as a selectman, I worked with Cindy and the late Senator Donnelly on the many issues that Arlington faced during my tenure. Cindy has deep roots in the Arlington community, and we are still benefiting from the fruits of her early work on behalf of Arlington’s schools. Cindy was one of the founders of what is now the Arlington Education Foundation, and she was a principal architect of AEF’s focus on funding innovation in our public schools. All that the foundation has accomplished since flows from the vision and leadership of Cindy and AEF’s other founding board members. She saw a future others could not imagine. As a selectman, I worked with Cindy and Senator Donnelly on the issue of Arlington’s out-of-control health-care costs. “Worked with” is probably an exaggeration. I brought my woes and worries to Cindy, and she helped me understand the art of the possible in the state Legislature. Cindy and Senator Donnelly together made Arlington’s case on Beacon Hill and kept those of us staring at the town’s budget in the loop as solutions were developed. So it’s more accurate to say that I fretted and Cindy worked. Arlington was able to reduce its health-care budget by $3 million in FY 2012 without reducing benefits, because we were allowed to add our employees to the state health insurance plan. The change in policy that allowed this was unlikely to have come about without the hard work of Senator Donnelly and Cindy as his chief of staff. Cindy has a deep love for and understanding of the communities of the 4th Middlesex district. As others have said, she has the respect of many senators and their staff on Beacon Hill. She would step into office with a network of relationships that would allow her to be effective for the district from day one. But it’s important that people understand the depth of integrity and strength of character that have earned her that good will. Cindy is smart, hard-working and knowledgeable. She is tough but she understands the art of compromise. She has a passionate commitment to the welfare of the people of the district. Most important, Cindy is able to connect policy to the problems of real people and find pragmatic solutions. Good legislating takes a hard head and soft heart, and Cindy has both. I urge the voters of Arlington to join me in supporting Cindy Friedman for Senate. Her experience, integrity, commitment and skill will be a huge benefit to Arlington and all the communities of the 4th Middlesex.